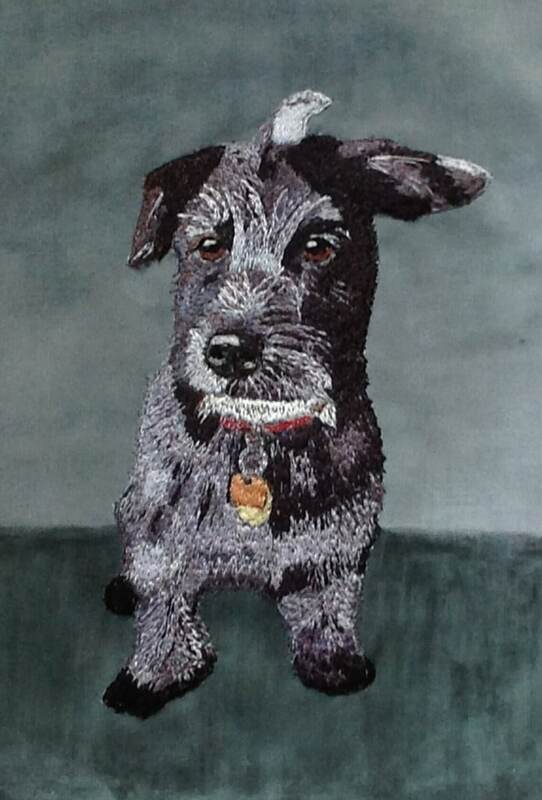 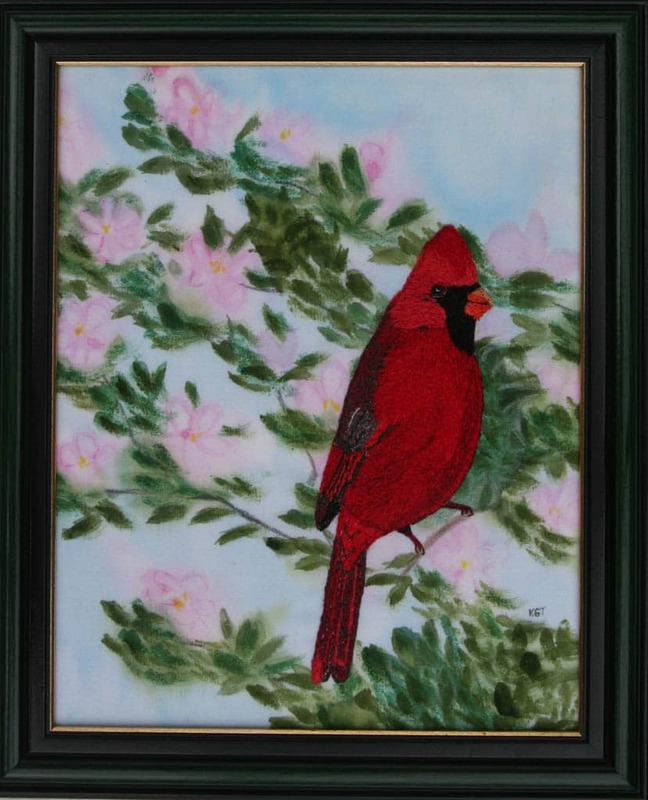 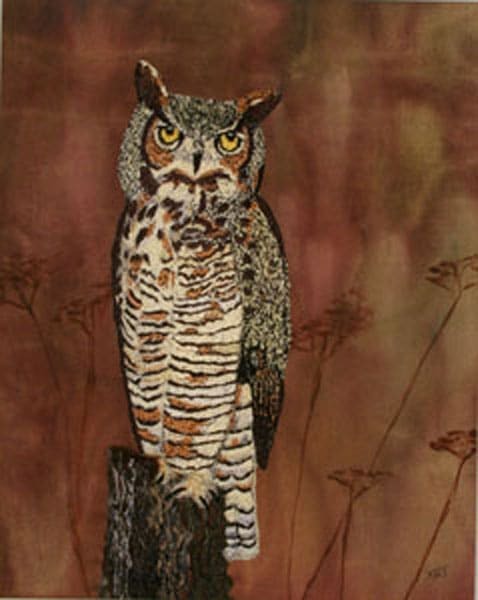 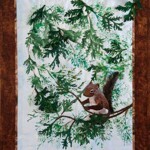 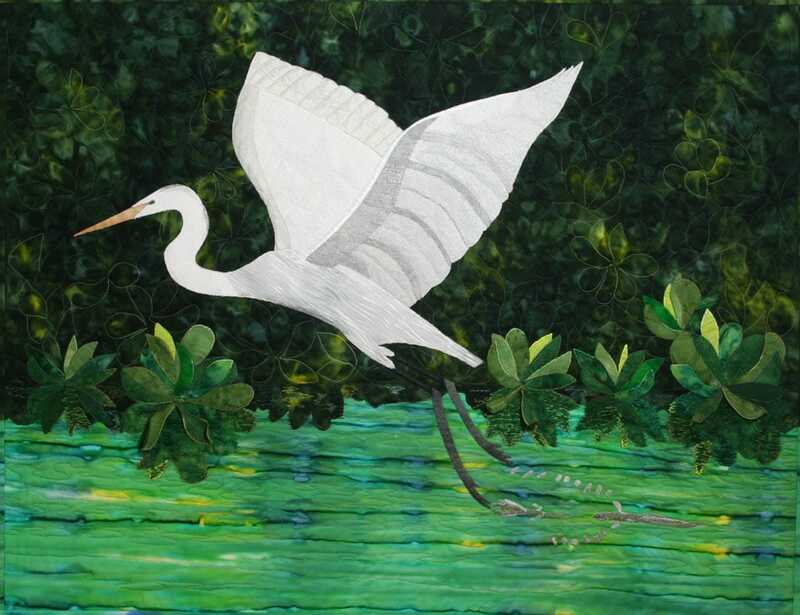 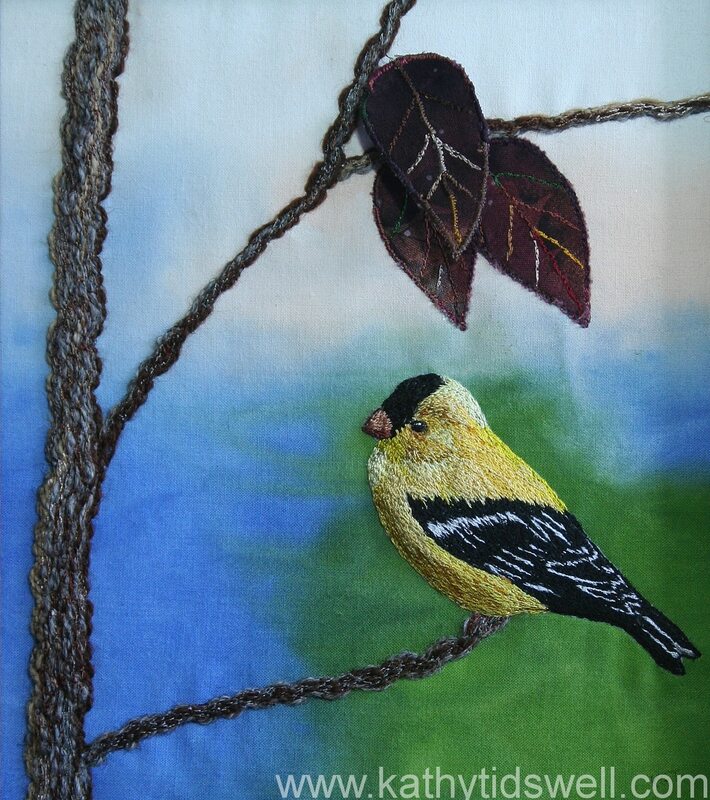 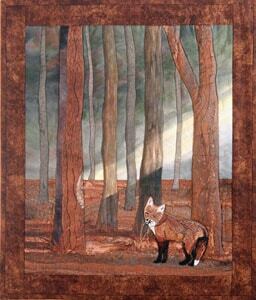 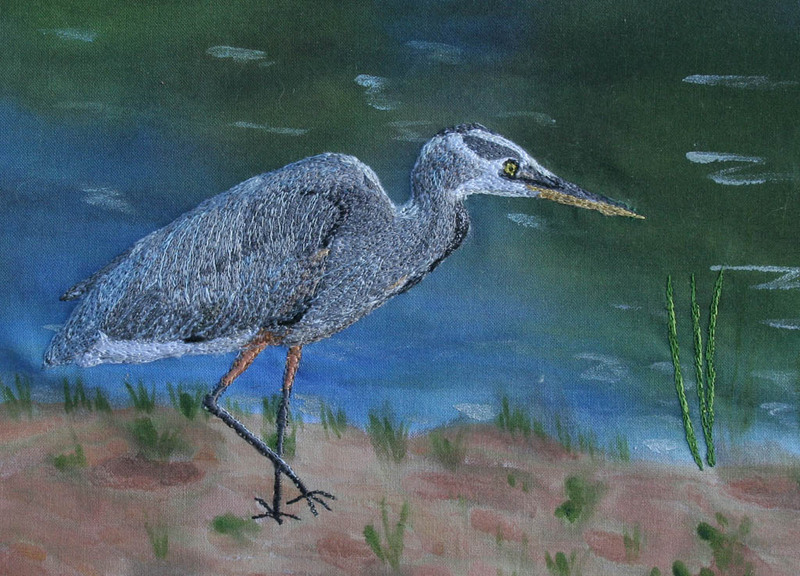 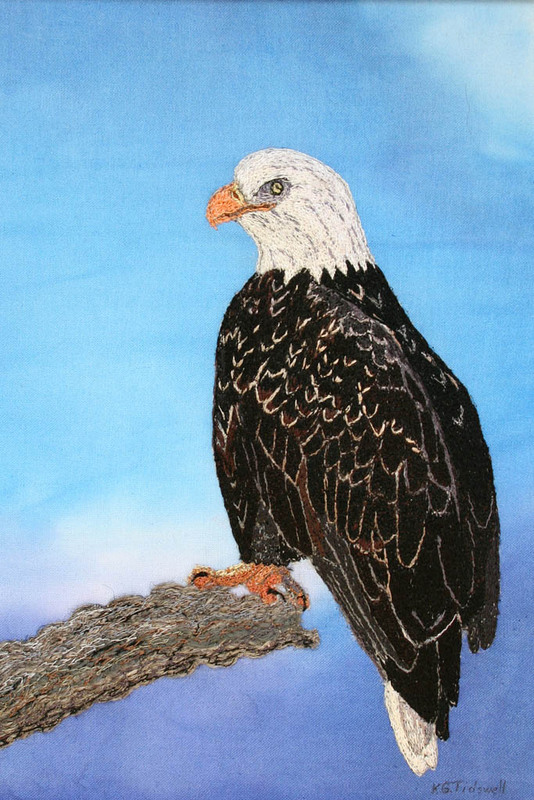 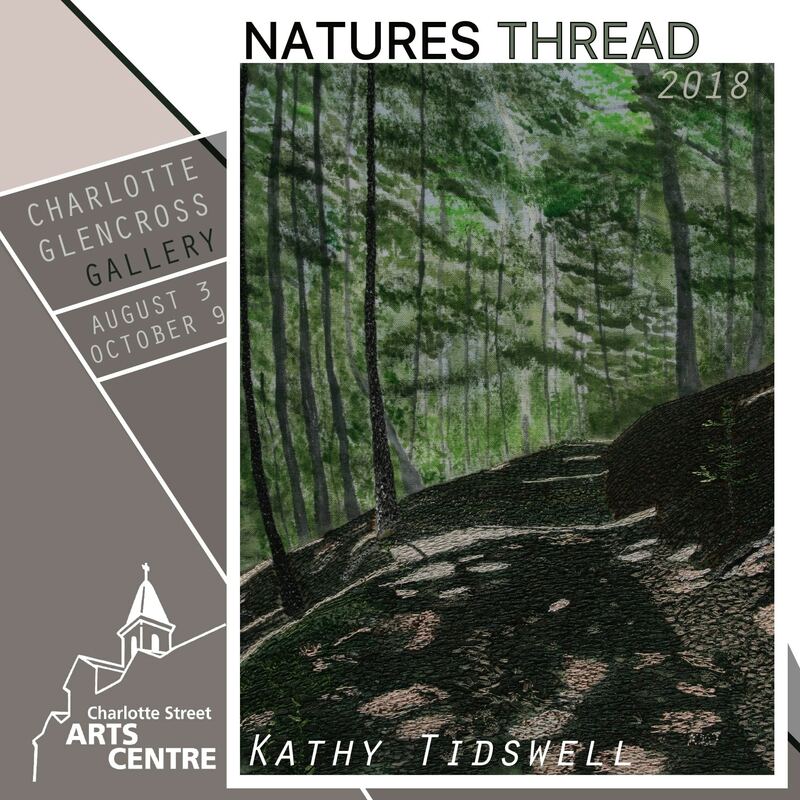 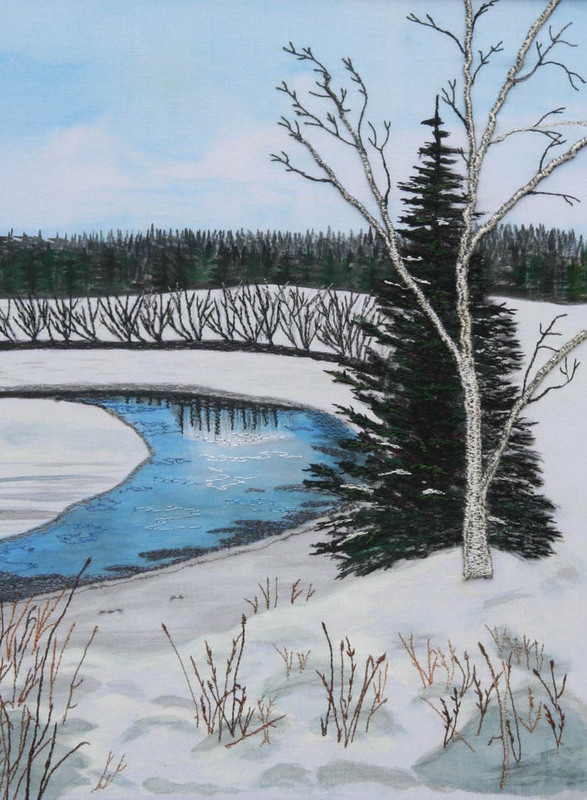 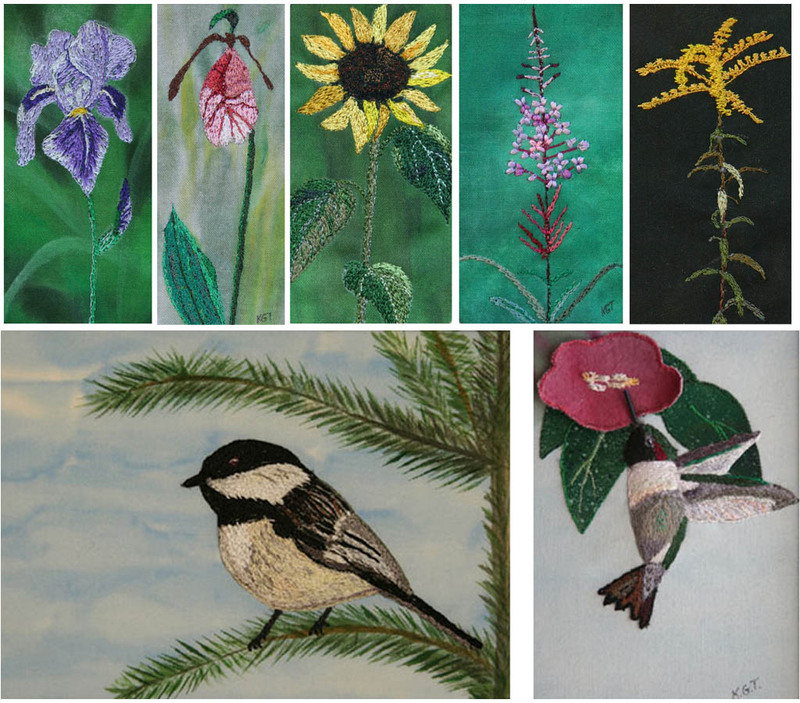 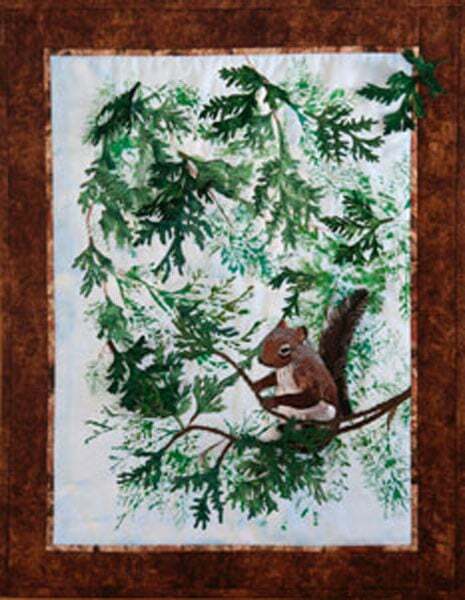 With a sewing machine as her paint brush, and threads as her palette, Kathy Tidswell creates works of art using a canvas that may be a thread painting, quilt, wall hanging or wearable work of art. 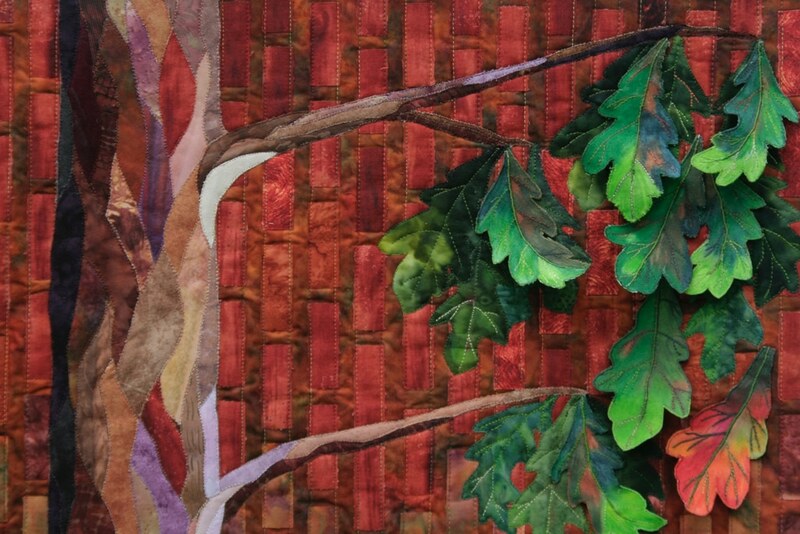 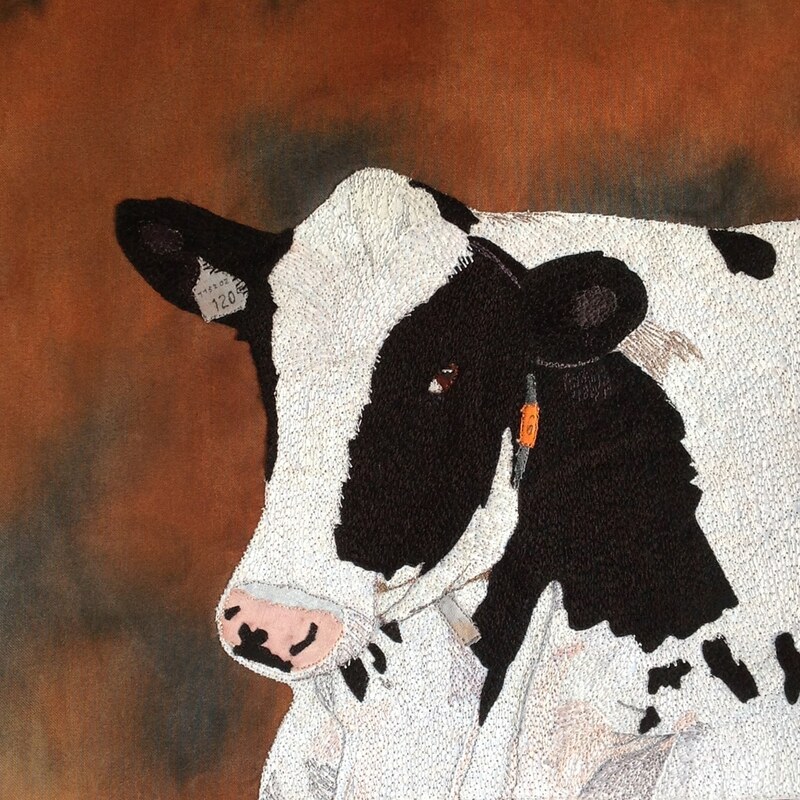 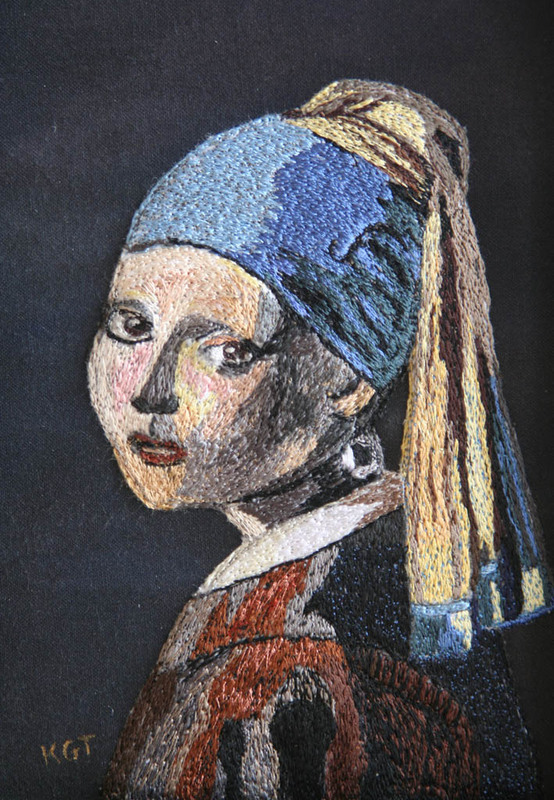 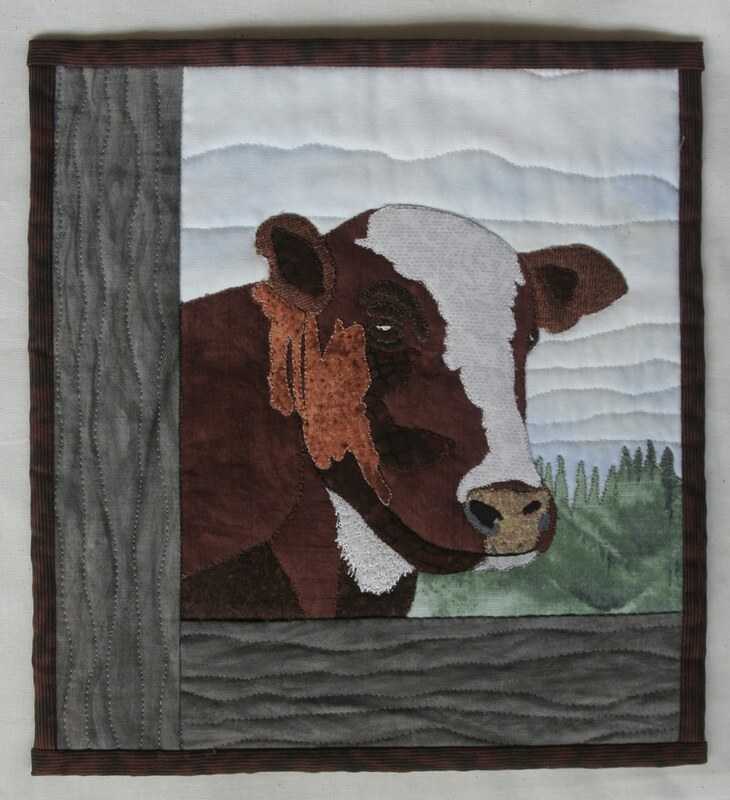 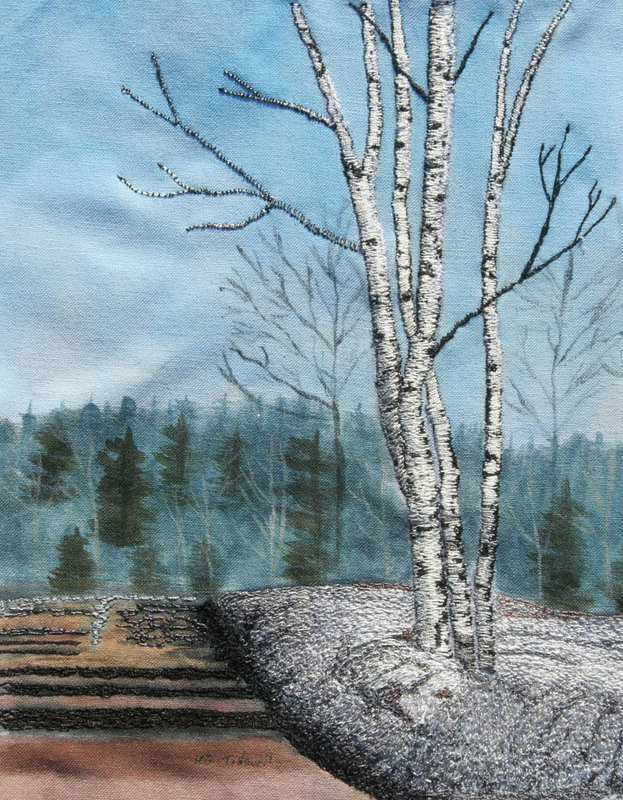 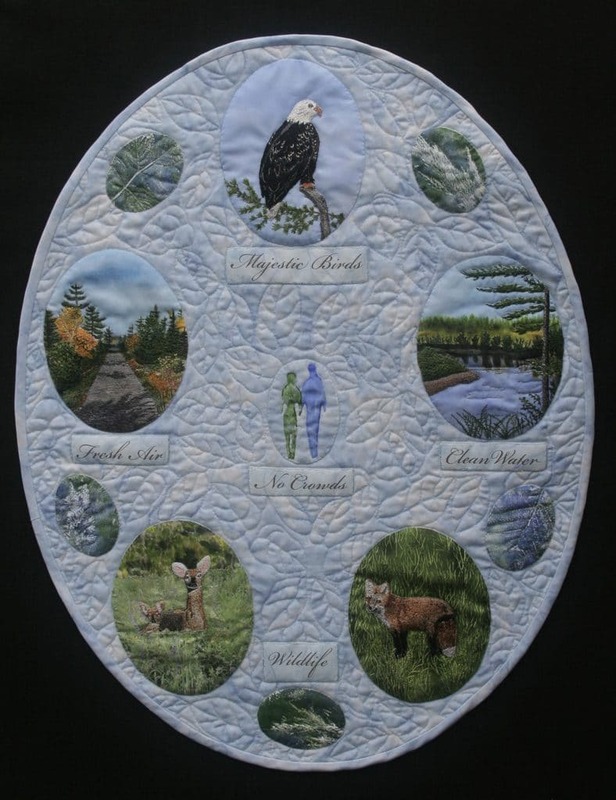 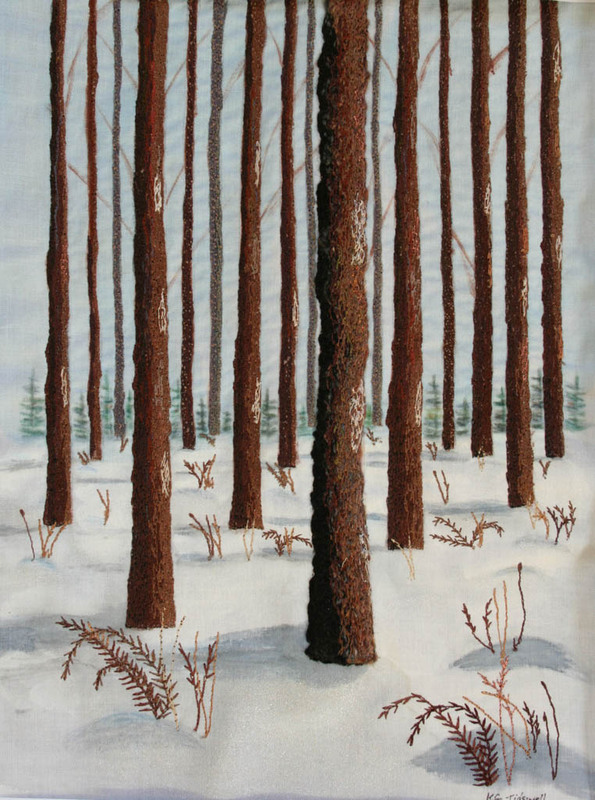 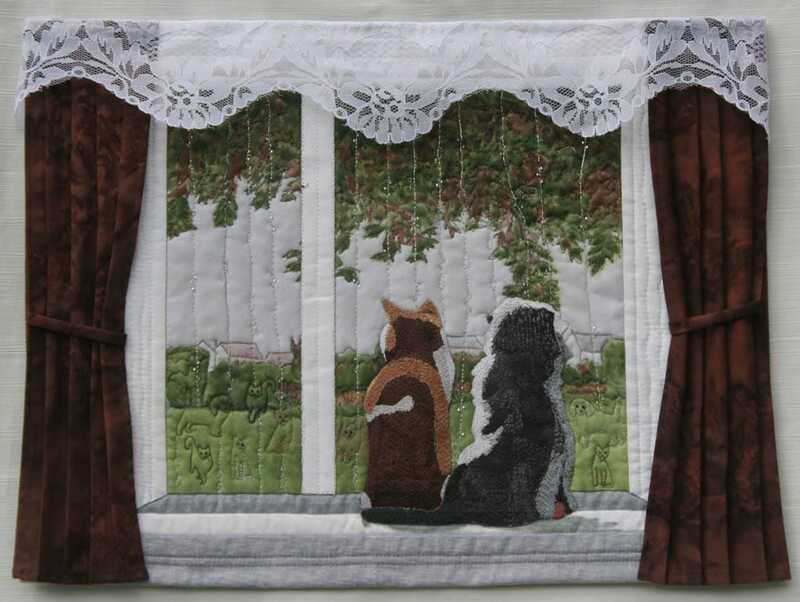 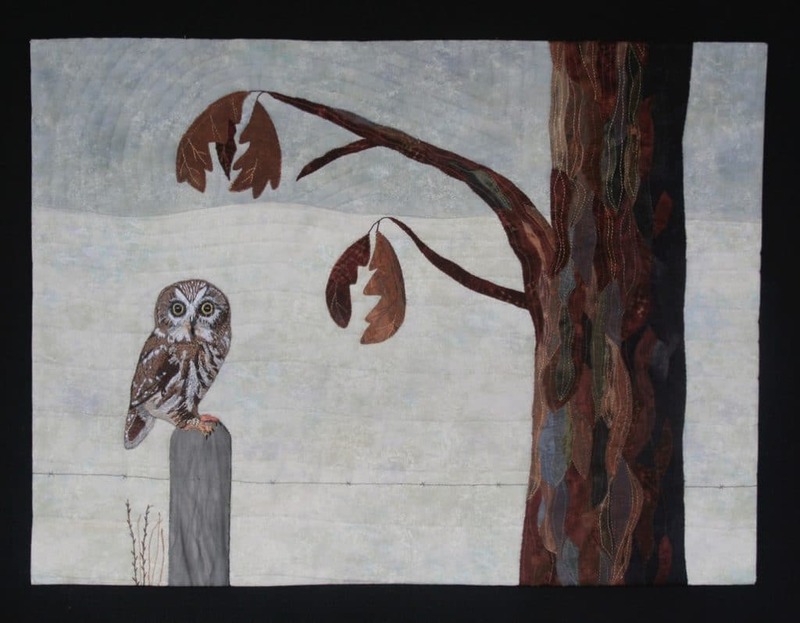 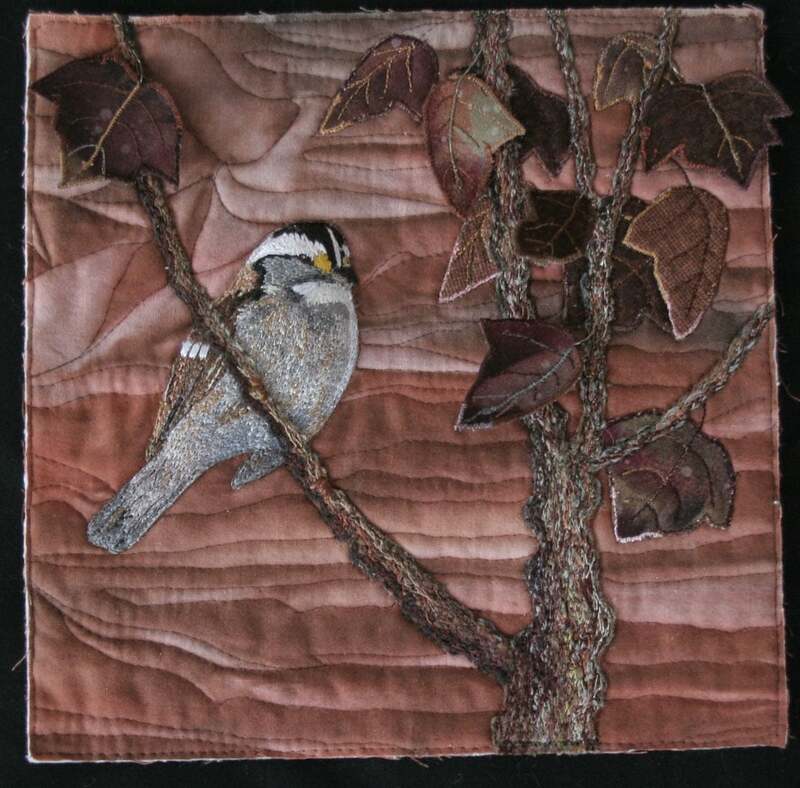 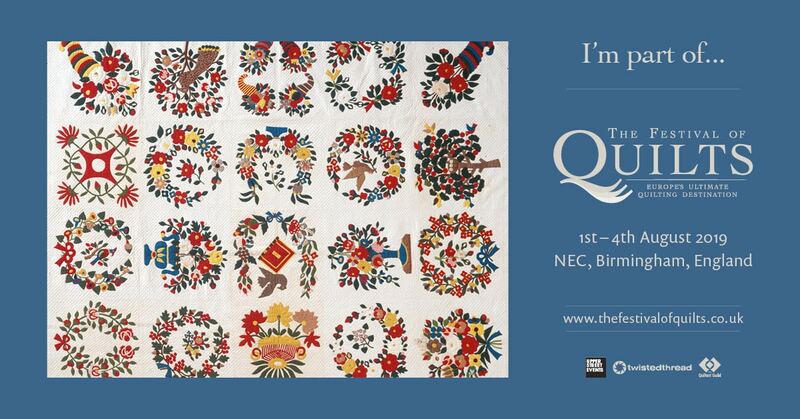 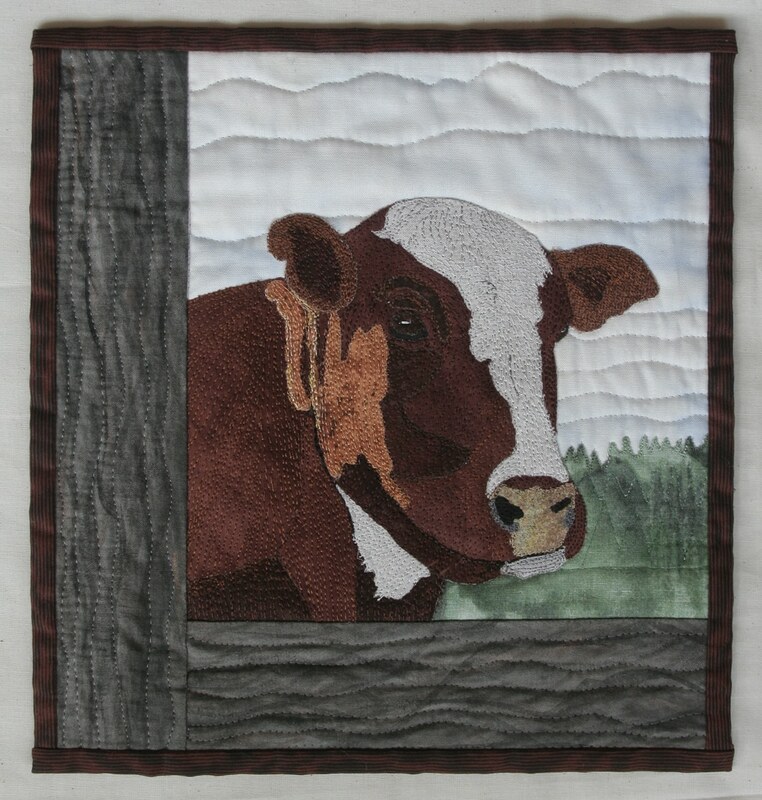 Her pieces have been juried into Canadian Quilters’ Association / Association canadienne de la courtepointe (CQA/ACC) National Juried Shows, Kitchener-Waterloo Art Gallery Grand National Exhibitions and Ontario Network of Needleworkers Threadworks. 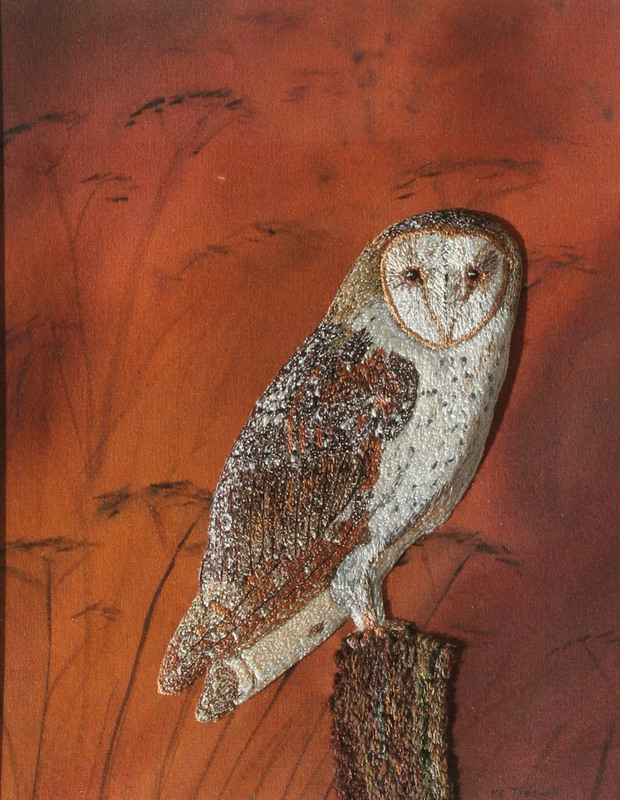 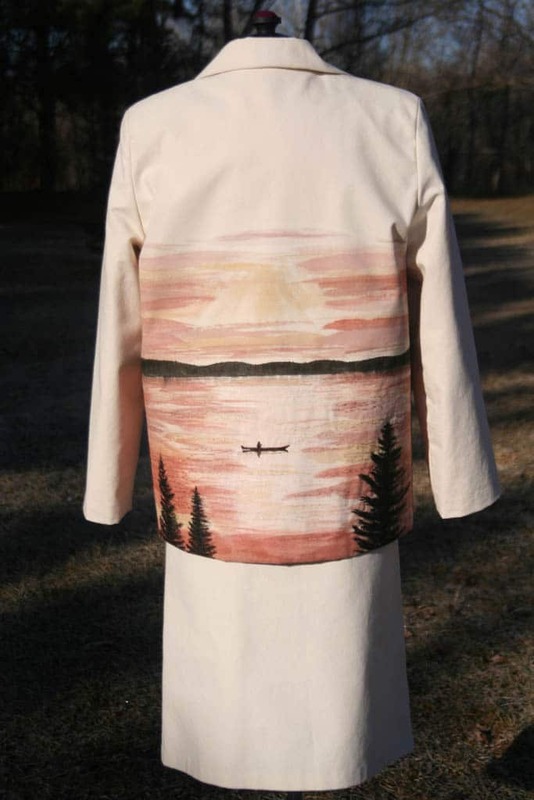 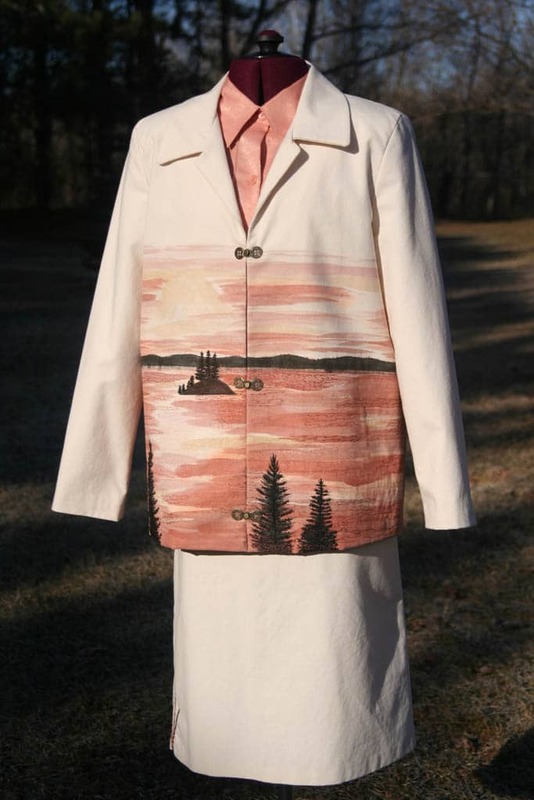 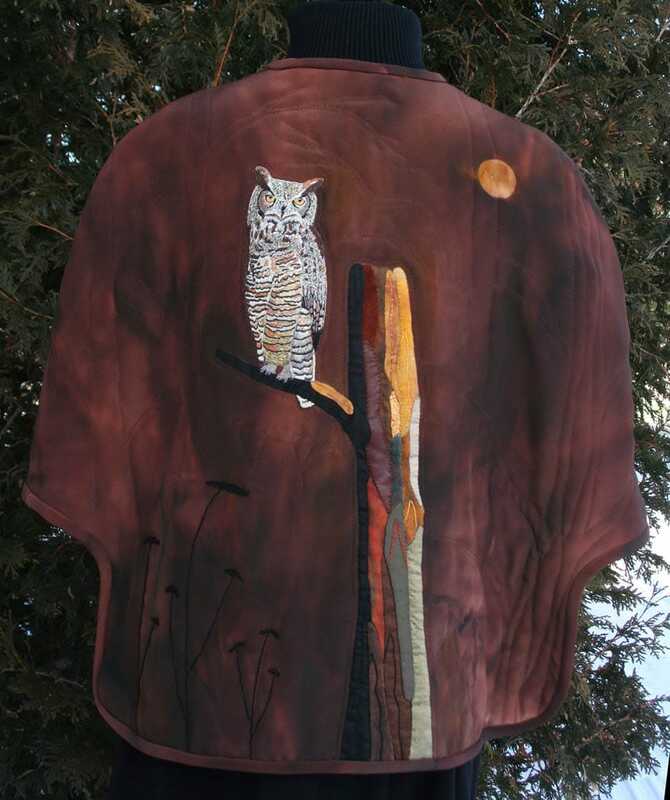 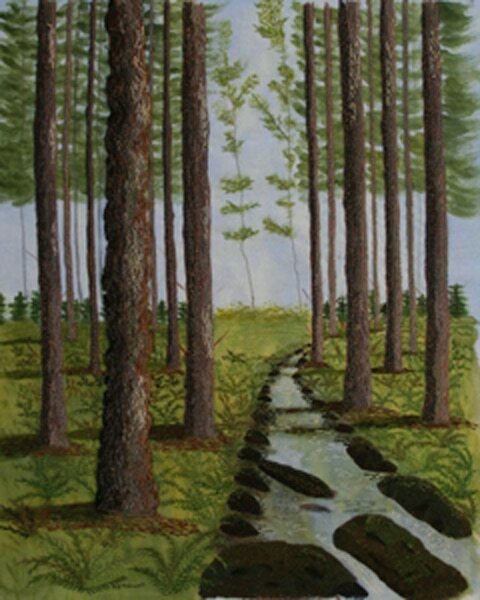 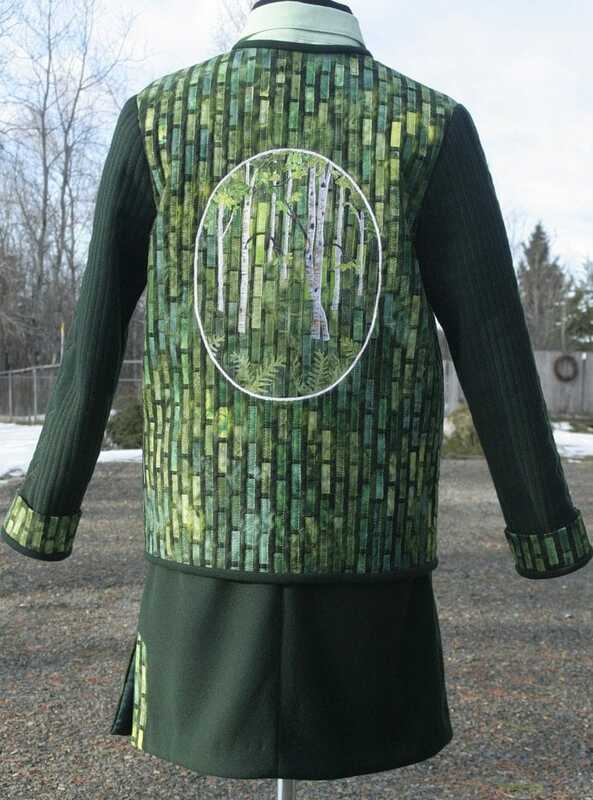 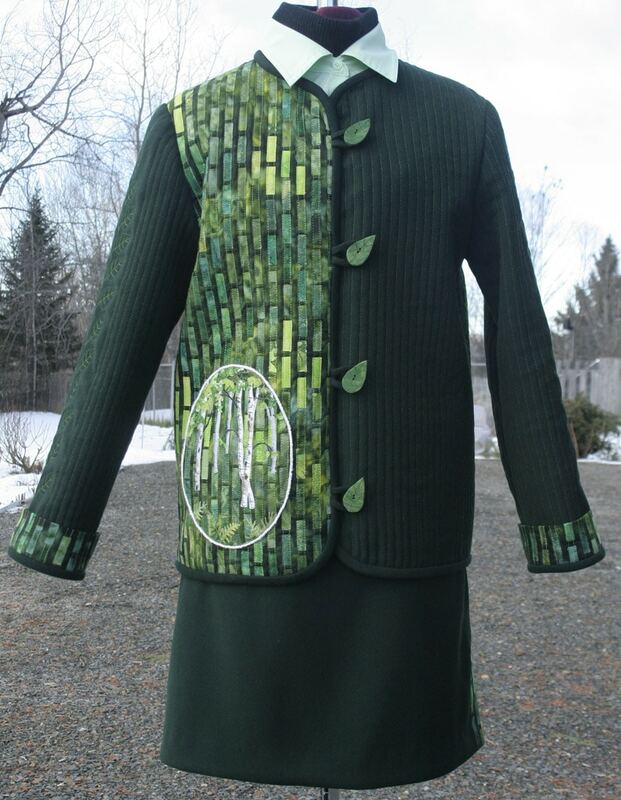 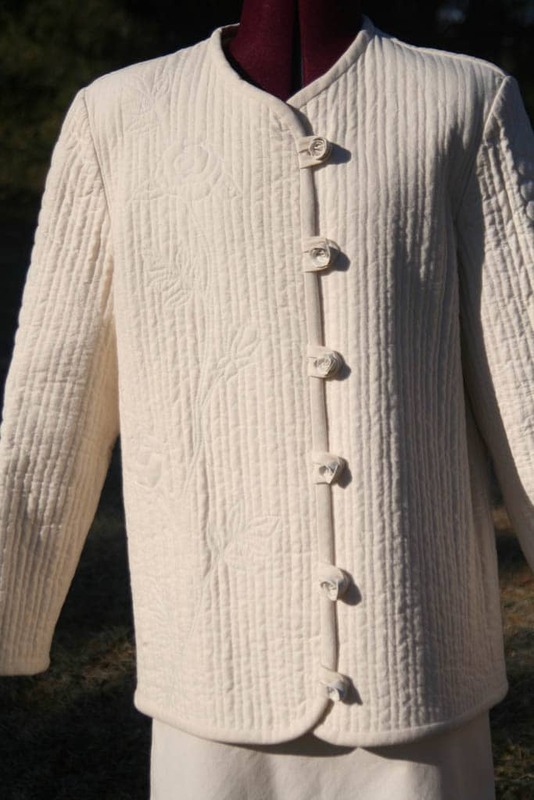 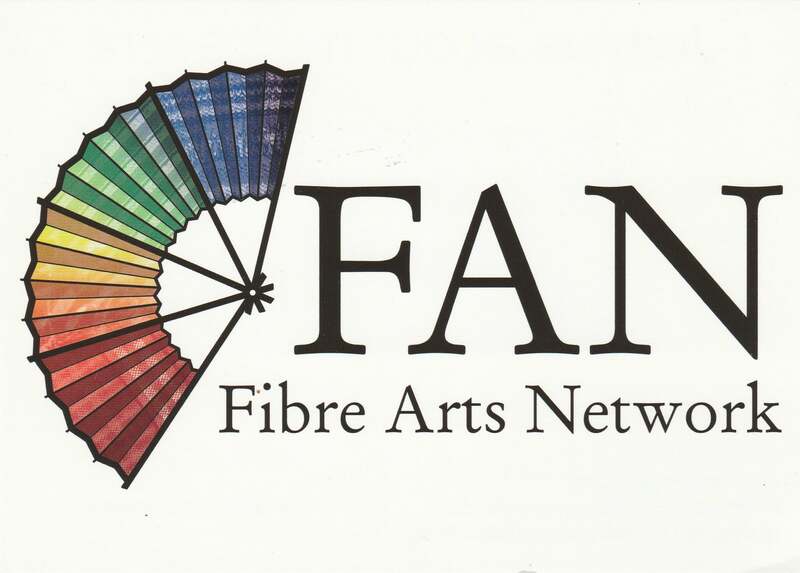 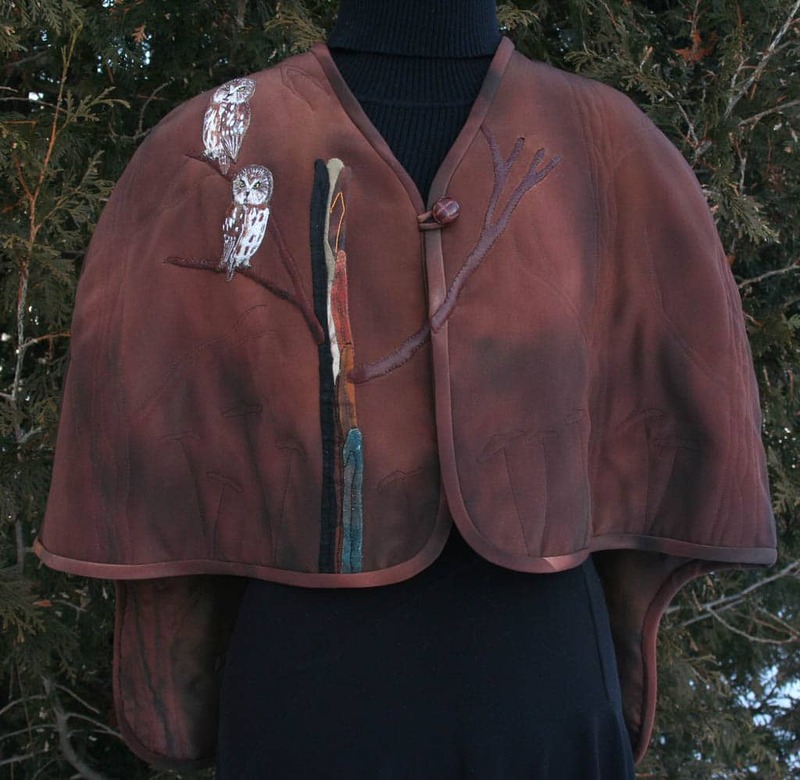 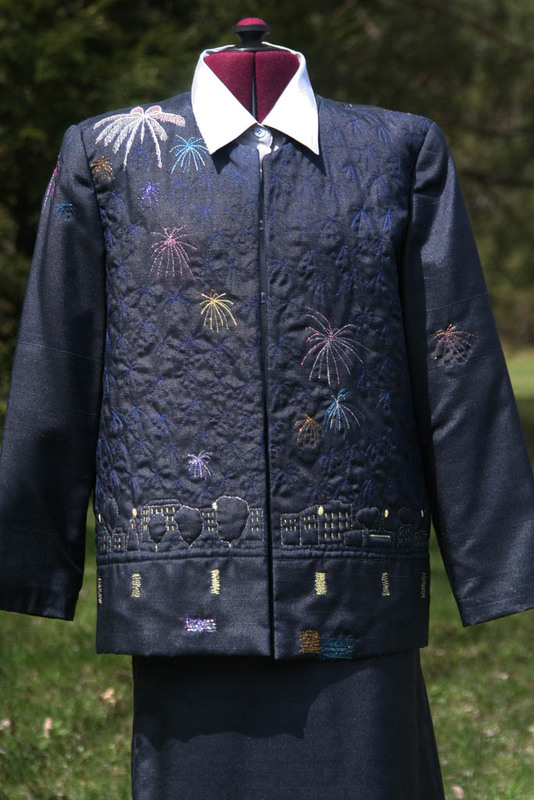 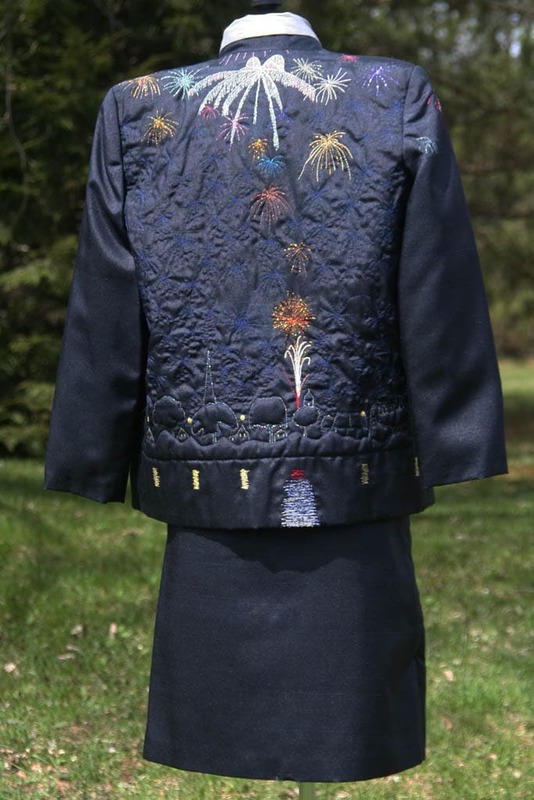 In 1999 she won the CQA/ACC Award of Excellence in Wearable Art and in 2005 received Honourable Mention. 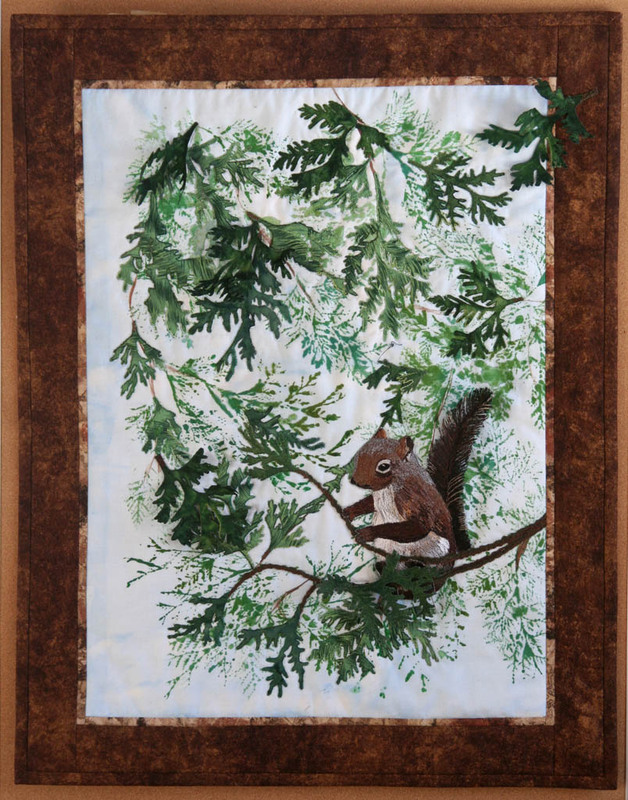 Since 1993, Kathy’s love of teaching has lead her to share her knowledge and talent delivering workshops and slide/trunk shows from coast to coast for guilds, four Quilt Canada’s (the biannual National Conference of the Canadian Quilters’ Association), fibre art festivals, retreats etc. 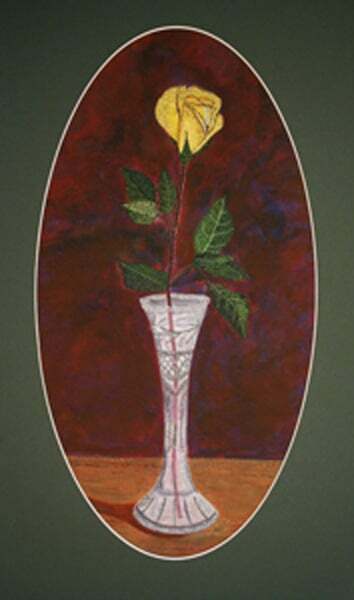 In 2005, she was honoured with the CQA/ACC Teacher of the Year Award. 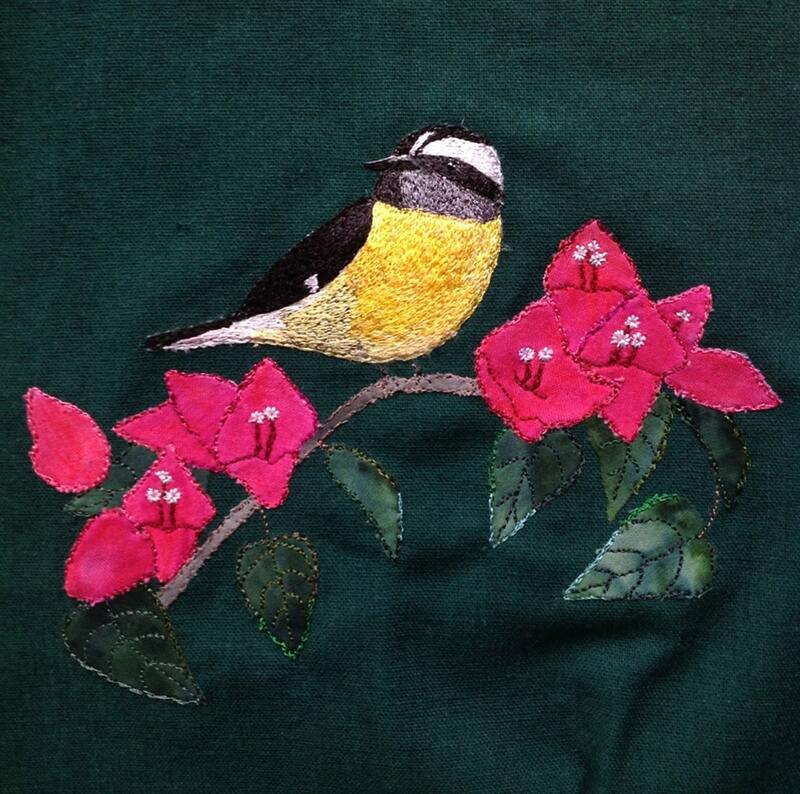 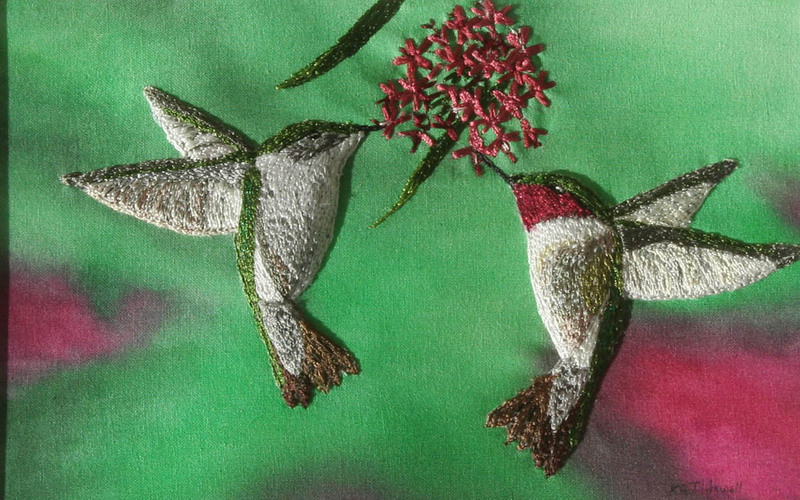 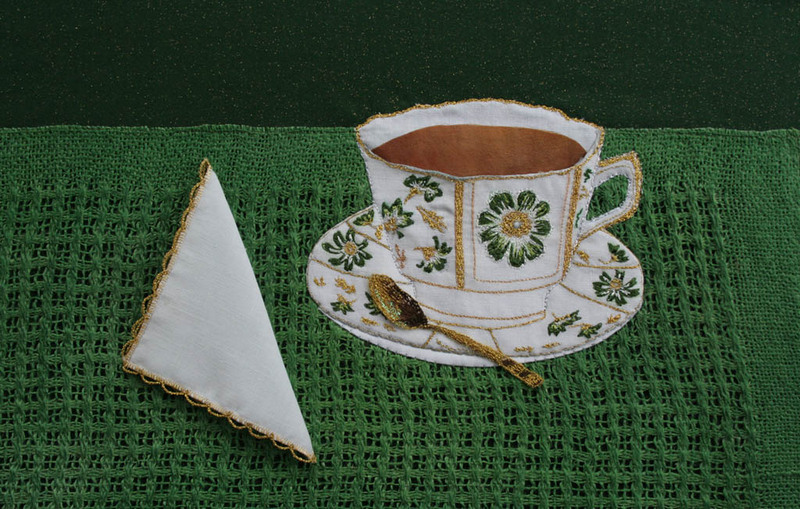 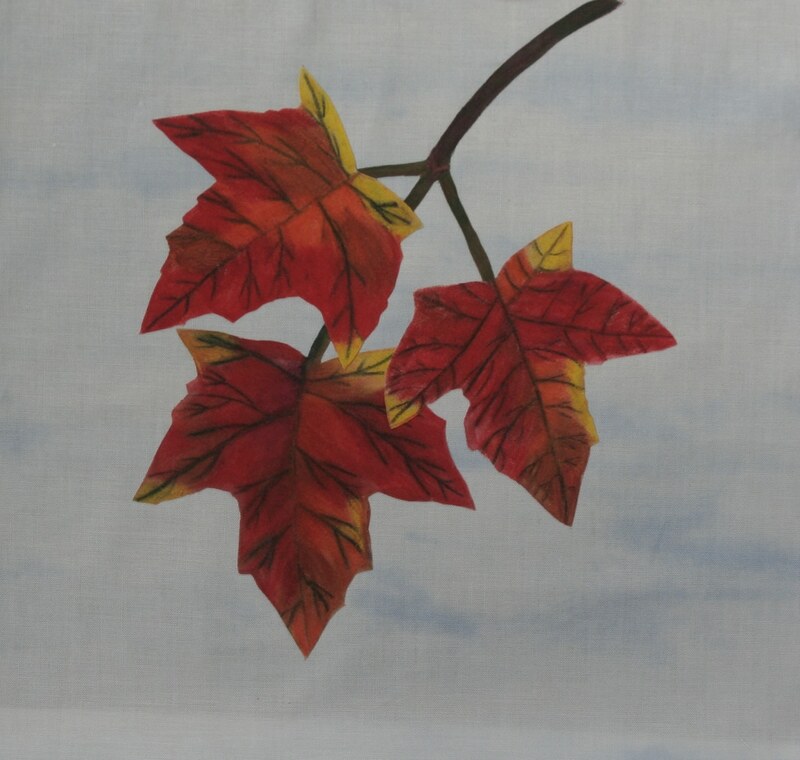 Her workshops are sewing machine based and include traditional topics such as appliqué, and trapunto as well as her specialities, painting on fabric, free motion embroidery and three dimensional thread appliqués. 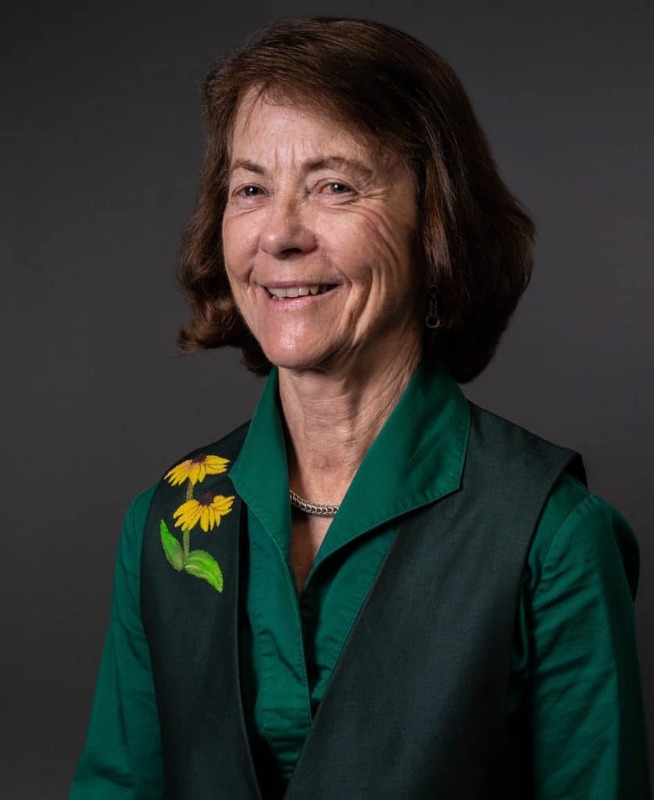 Students describe her as knowledgeable, patient and encouraging and appreciate the wonderful personal attention they each receive. 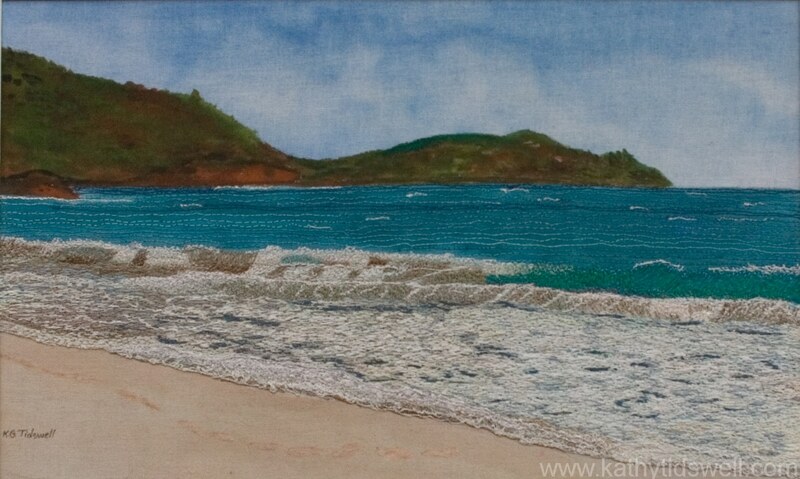 Check these areas for more about Kathy and her Creations. 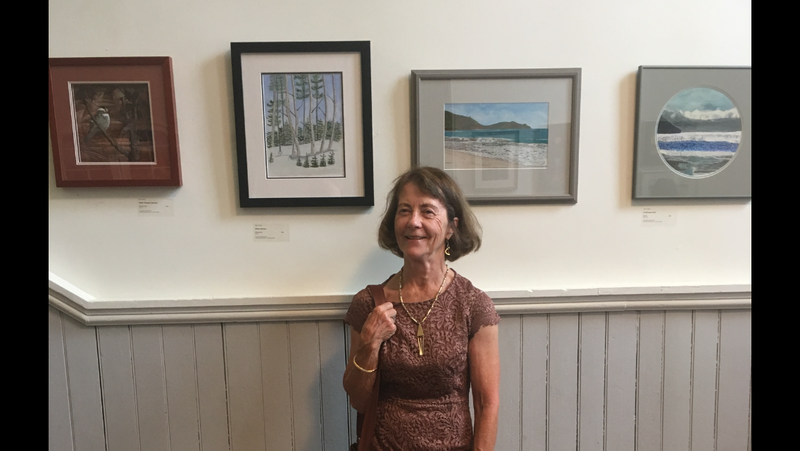 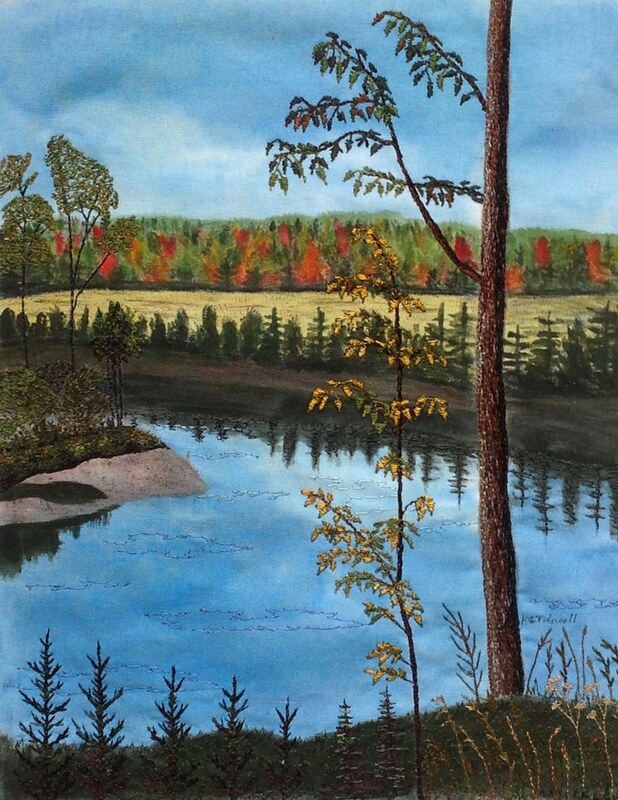 There is an extensive interview with Susan Lilley about my work on http://saqaatlanticcanada.blogspot.com posted on August 7, 2018. 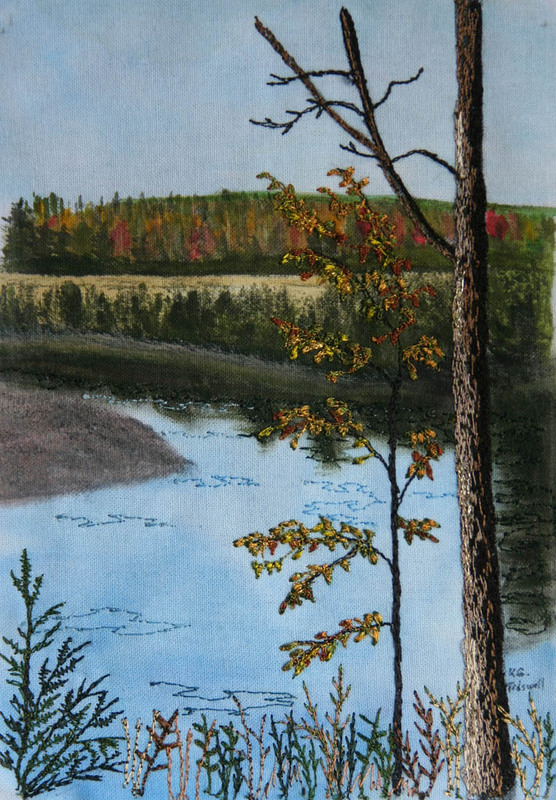 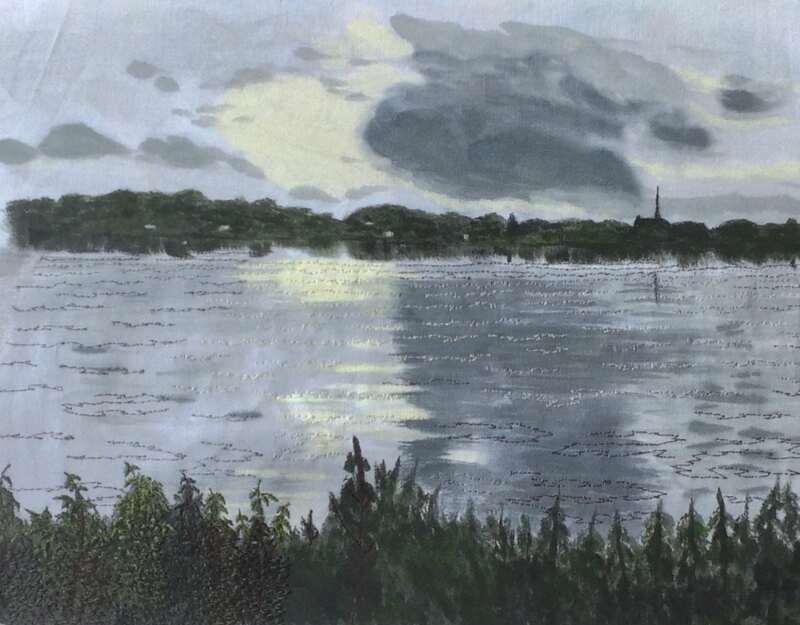 Here is a photo of my Saint John River piece at the beginning of day four. 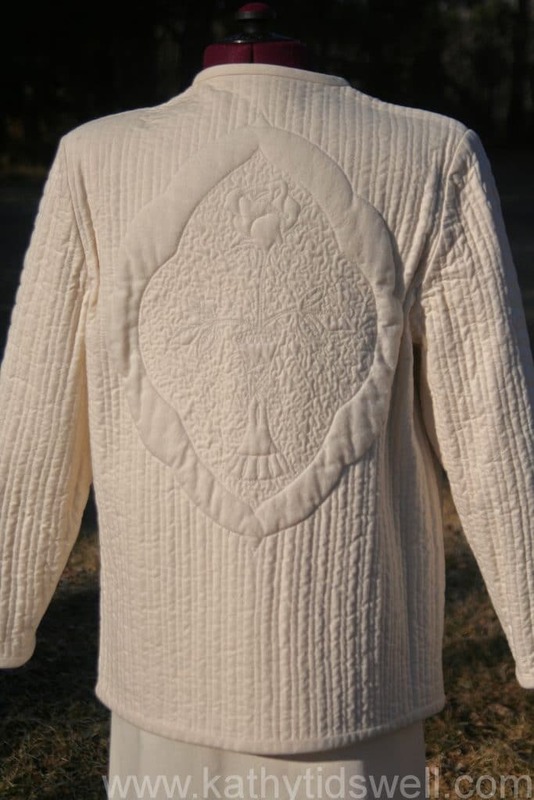 Here, you can discover some of my many creations. 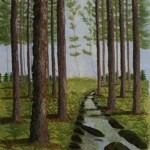 You can also explore by techniques, creation type or status . 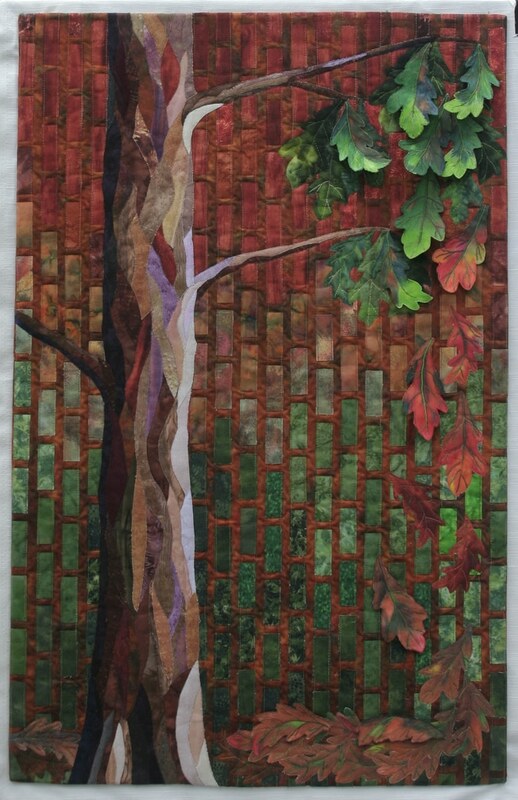 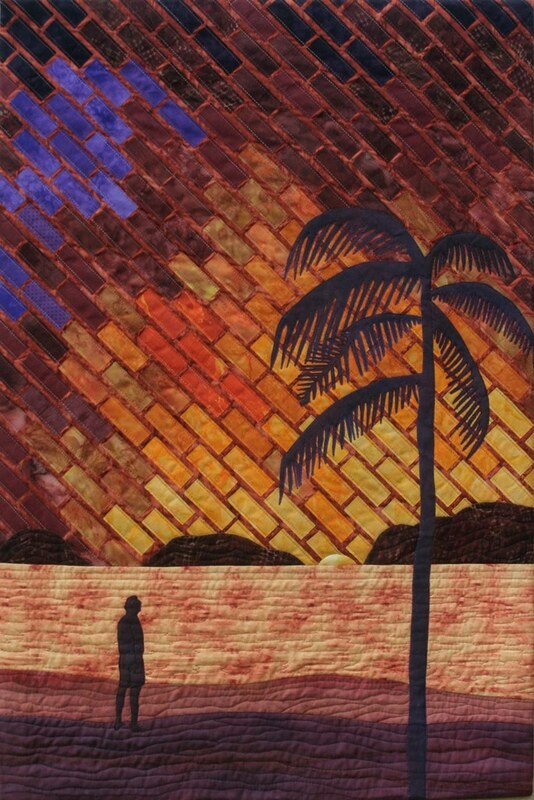 Wall quilt. 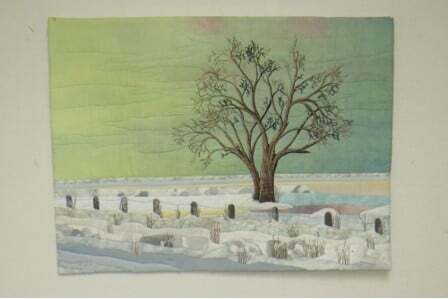 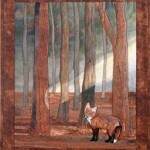 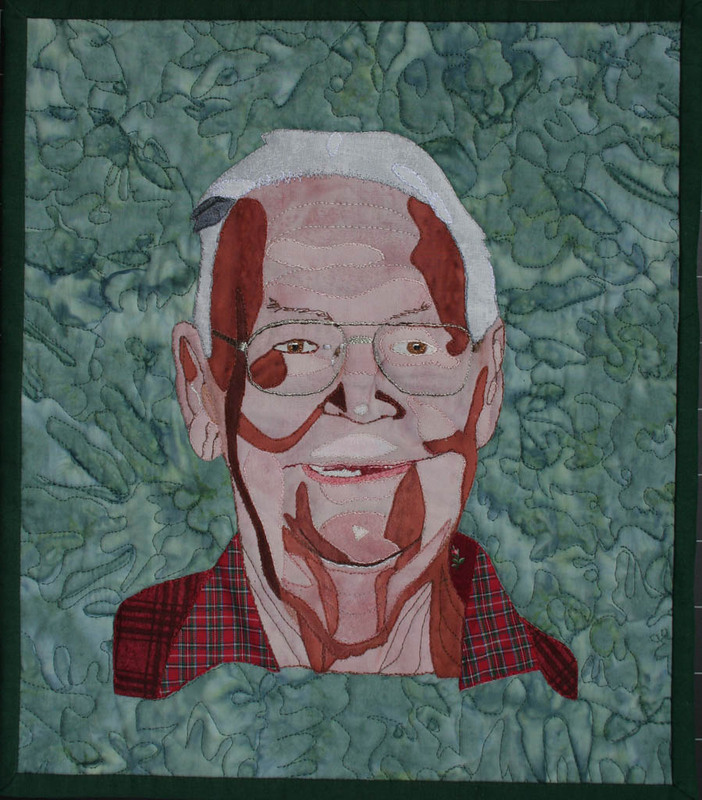 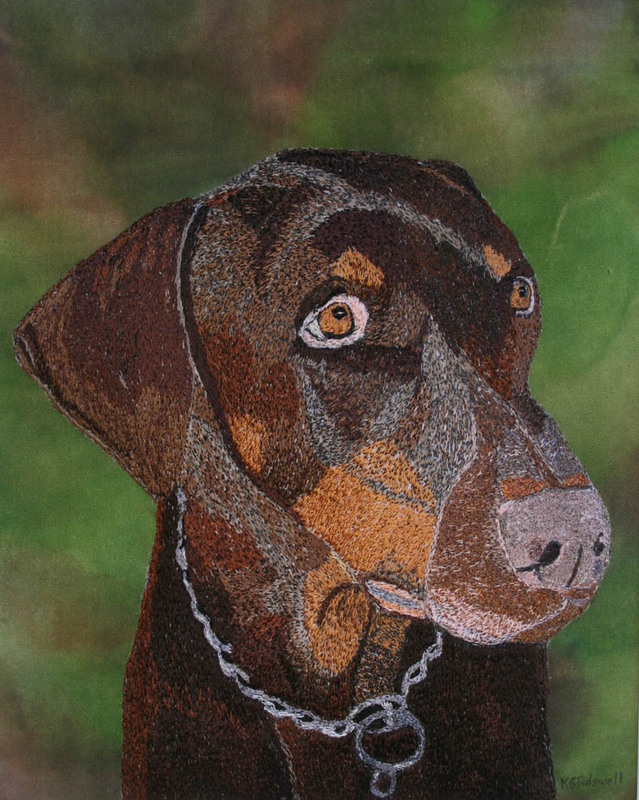 Juried into the 2008 Canadian Quilters' Association National Juried show. 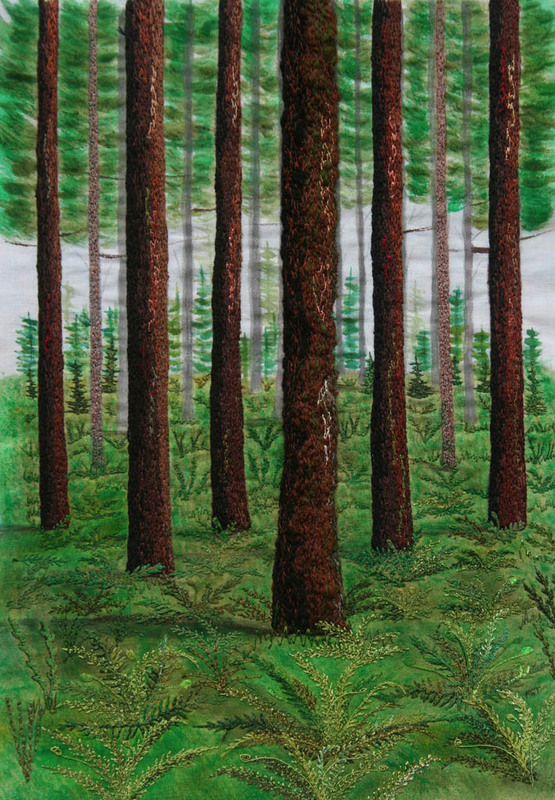 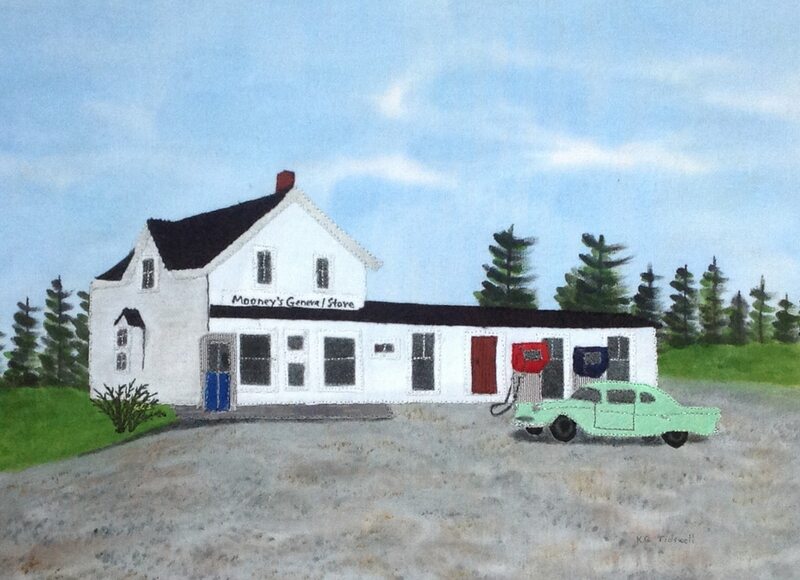 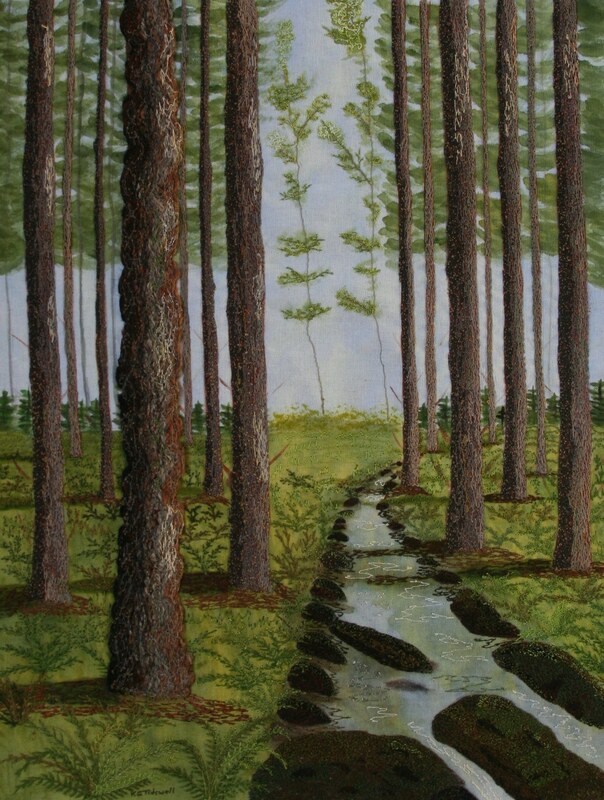 Size 38 by 29 inches. 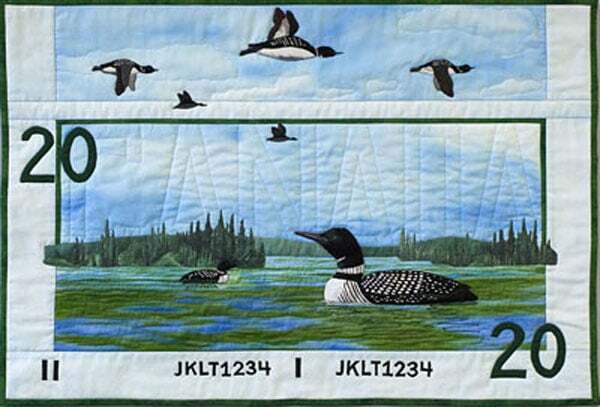 Available in in a package of 4. 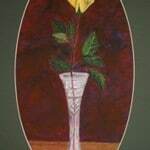 Currently, I have 2 different series available. 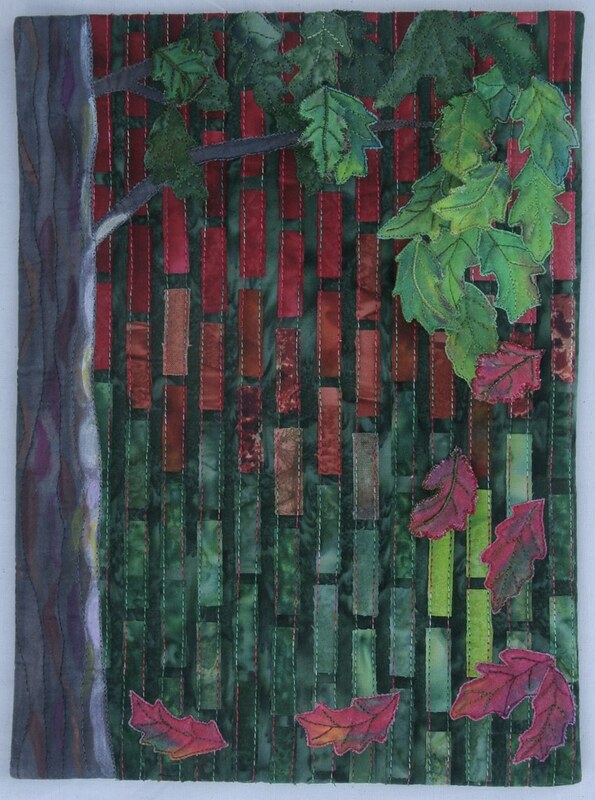 Bookmarks are made from images of my work. 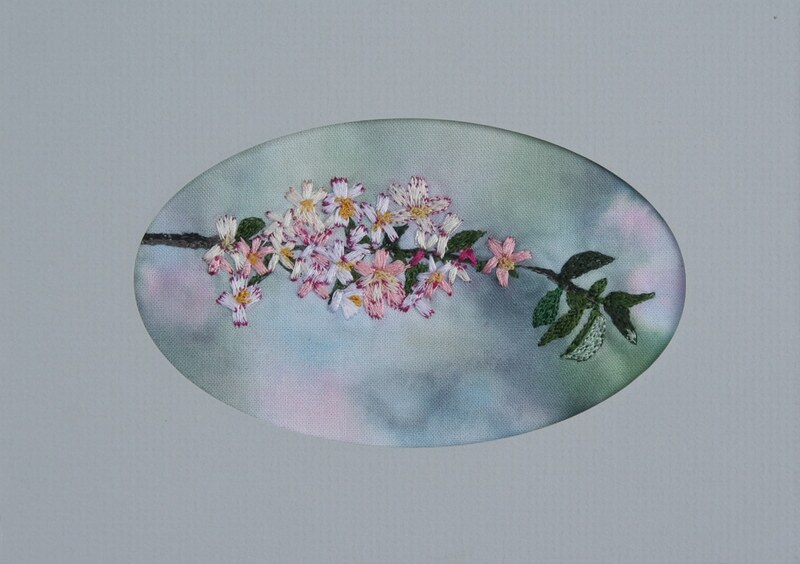 Available individually or 5 for $10. 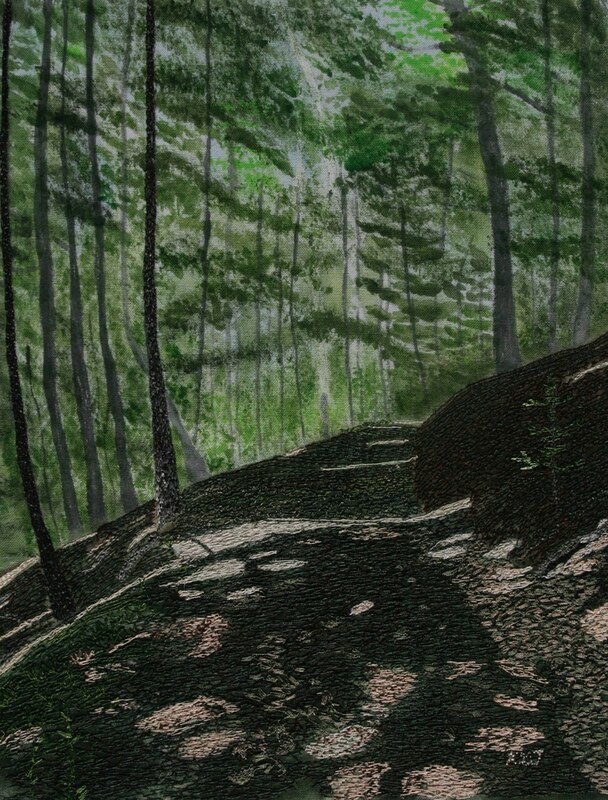 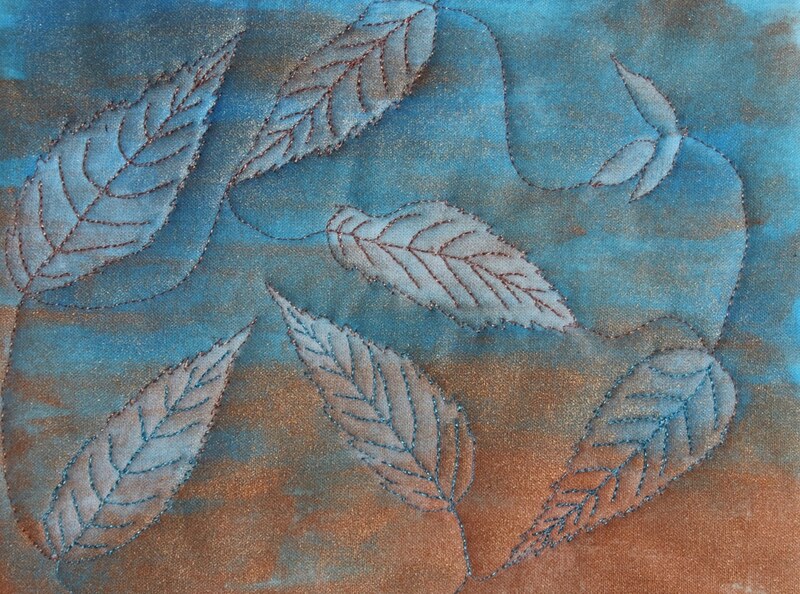 Chosen for Threadworks 2013: Water. 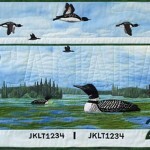 Toured throughout Ontario for 2 1/2 years. 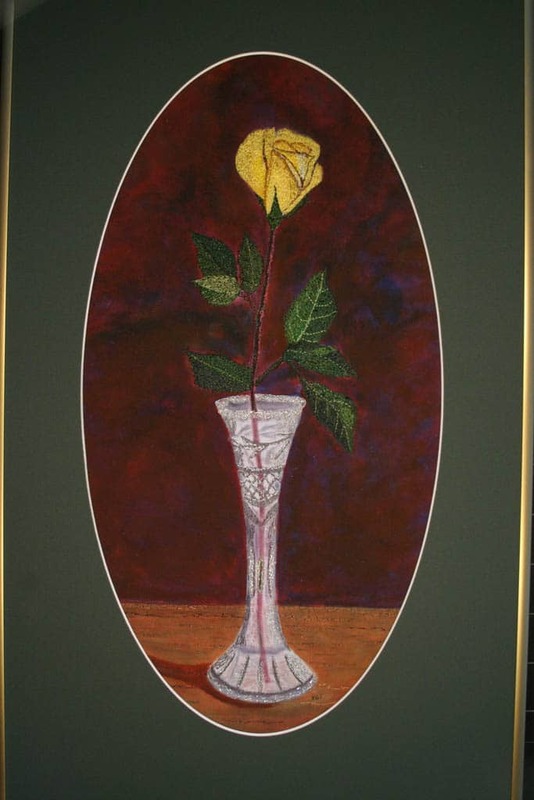 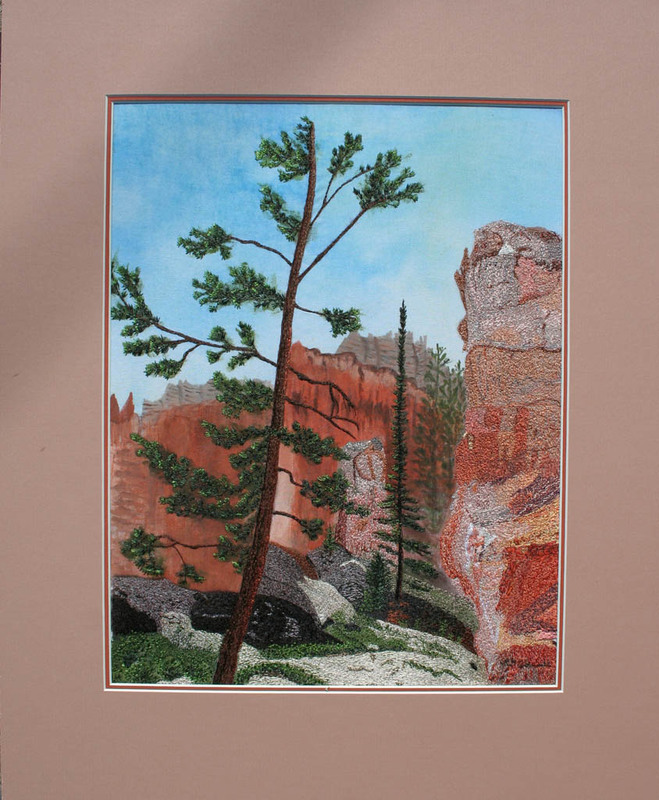 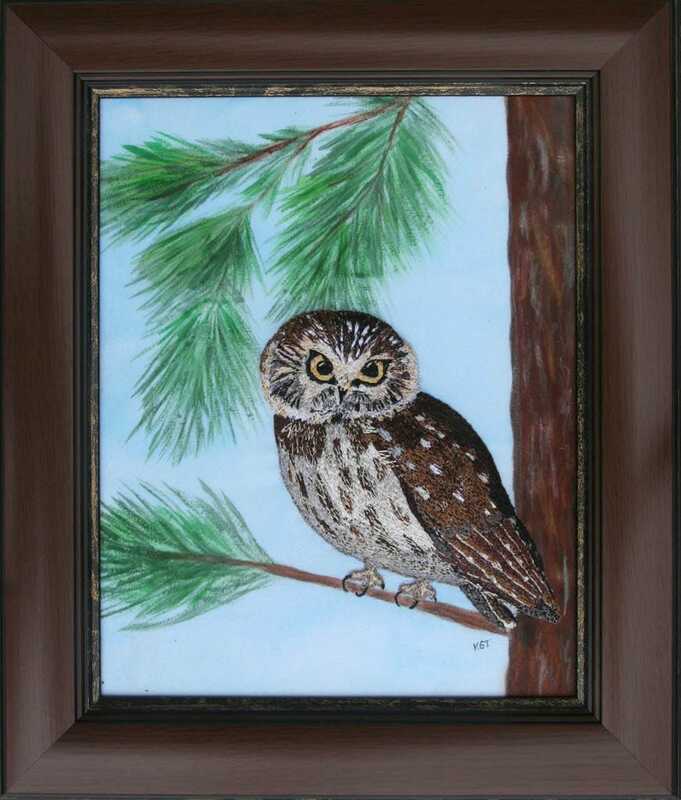 Matted and framed under glass, 14 by 18 1/2 inches.